I can find no record of an answer but on 16th May the World Customs Organisation published a document in which it discusses shifting e-cigarettes and vape fluid out of the chemicals category (Chapter 38) and into the tobacco category (Chapter 24). The document isn’t freely available online yet, although it has been published on the WCO’s member website and has been distributed by the International Chamber of Commerce to its members. I quote the most relevant sections below. The Directive sets out EU rules on the structure and rates of excise duty applied to manufactured tobacco. In particular, it defines and classifies various tobacco products according to their characteristics and lays down the relevant minimum rates and structure of excise duty. The Lesser of Two Evils for the Benefit of the Greater? Tobacco kills 480,000 people a year in the United States. Yet when an innovative alternative that delivers nicotine and eliminates 95 percent of the harm of smoking is available, the wary Food and Drug Administration fails to embrace this revolutionary lifesaving technology. All in the name of the children, of course. Wichtig: die EU hat eine neue Befragung zur Besteuerung der E-Dampfe und Heat-Not-Burn gestartet! A Suicide Product for Vape Shops? Will Voters Ban Flavored Vapes? San Francisco residents will decide on June 5 whether to uphold the flavor ban passed last year by the city’s Board of Supervisors. That’s because opponents of the ban collected enough signatures on petitions to challenge the law in a referendum. June 5 is the date of the city’s regular primary election, and several other ballot measures are also being decided, along with special elections to fill some vacancies, including mayor. We told the tale of South African fibber Peter Ucko just two weeks ago. Now, joining him on the monthly roll call of liars, come more anti-vape prevaricators. Brian Jenssen is the product of several years of high-level training, yet still manages to be ignorant. Dorie Apollonio must have struggled to not break out laughing when she made a comment about potential harm. Does vaping help smokers quit? Not according to these people. The New England Journal of Medicine (NEJM) carries another study purporting to be a balanced and reasonable investigation of an aspect of vaping. Unfortunately, this is yet one more piece of scientific work that ignores common knowledge among vapers and thereby fails to discover anything of worth. In 2015, anti-tobacco harm reduction activists leapt for joy when a team led by David Peyton told the world that vape was full of formaldehyde. A contrite Peyton sniffled that it was not his intention to slur vaping, after it was pointed out that he was measuring dry puffs. So he went back to the drawing board and made the same mistakes all over again. San Franciscans are getting close to the date, June 5th, where they will vote on whether or not to ban vape flavours. Proposition E is stupid enough in and of itself, but the lying its supporters have engaged in debases politics and science as a whole. Are you confused about e-cigarettes? Many people are. Research shows that many Australians have heard of e-cigarettes, and some have tried them, but there is also a lot of uncertainty. Nicotine e-cigarettes are readily available in some countries but not Australia. New Zealand has joined the list of nations allowing the sale and use of nicotine e-cigarettes including the US and UK. E-cigarettes are fairly new, and since going on the market in 2004, their use has grown significantly. It’s been a bad half-century for Big Tobacco, starting with the US surgeon general’s report on smoking in 1964, the Federal Cigarette Labeling and Advertising Act of 1965, and the Public Health Cigarette Smoking Act of 1969. Together these led to mandating the US Surgeon General’s warning be placed on cigarette packages and broadcast ads be banned. Cast: Dr Acton—a physician and member of a leading smoking policy committee; Dr Wright—a scientist with interest in human rights ethics (both characters are fictitious and do not represent any individuals, living or dead). Setting: Private room at a conference. These two colleagues have been allies for many years. Today they have been arguing in public. The argument starts up again. 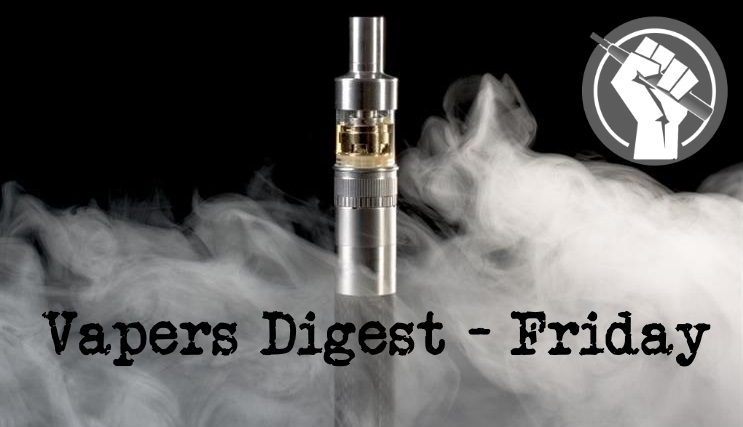 There’s barely any penalties for vapers in Germany with no public bans – no special taxes – a few regulations on advertising and no rules on cross border sales a case of pretty much vape where you like! Since the first edition of the Nanny State Index was published in March 2016, there have been many regulatory changes, most of them for the worse. Of the 28 countries included, all but six of them have a higher score than they did last year. When it comes to things like efficacy, renormalisation of smoking and the supposed gateway effect, the data remains overwhelming against anti-tobacco harm reduction activists. What they want to do is spread child-related fear and leave the suspicion of toxins hanging in the air. To that end, the latest paper looking at electronic cigarette aldehyde production is predictably disappointing.